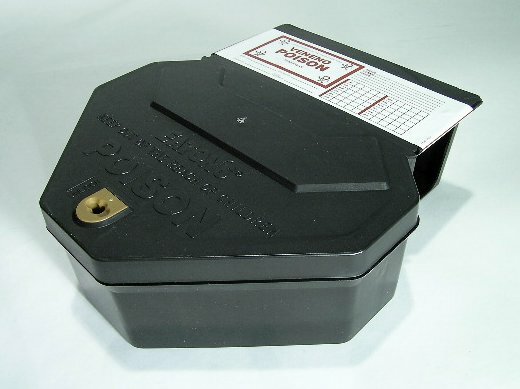 PRODUCT DESCRIPTION: This bait station is made of heavy plastic which can be mounted onto stakes making them stationary. A special key is needed to open them which insures that pets and small children can not reach the bait which is placed inside. The rat size is large enough to allow the rodents to feel comfortable enough to feed while inside the station. This is important since proper bait placement in the holding chamber needs to be large enough so that the bait cannot come out in one piece. Because the rodents cannot remove it, they must feel comfortable enough to feed while inside. 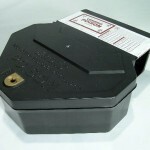 A tamper proof rat bait station used by both professionals and non-professionals for controlling rodent problems.